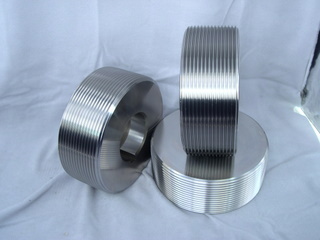 LANDIS thread rolling machine series also can use Die Thread's thread rolling dies to manufacture threads. Die Thread's thread rolling dies supply to threaded rods suppliers, set screws suppliers, threading tools suppliers, and thread rolling parts suppliers which use LANDIS thread rolling machine series or other thread rolling machine brands series to make their products. No matter the material of workpiece is carbon steel series, or alloy steel series, or stainless steel series, you can use Die Thread's thread rolling dies on LANDIS thread rolling machine to form your products. No.33, Lane 512, Sheh Kou St., Shen Kang Hsiang, Taichung Hsien, 42941, Taiwan R.O.C.